I am posting late tonight, or rather, early in the morning, from Tulsa, OK, where for my first yesterday I enjoyed a live performance of British comedian Eddie Izzard. Accompanied by my sister Linda, nephew Scott and stepmom Jerri, we gathered in the Brady Theater in beautiful downtown Tulsa for an evening show. Born in Yemen in 1962, of British parents, Eddie lived briefly in that country before moving to Ireland and later to Wales. He knew by the age of 7 that he wanted to be an actor. Initially he sought an accounting degree at the University of Sheffield, but began toying with comedy. He left school and took to the streets, performing his comic routines throughout Europe and the US in the 1980’s. By the early 1990’s he was gaining recognition through his improvisation. During this time he broke into mainstream comedy and moved from the streets to the stage and television. By the late 1990’s and into the 2000’s, he was not only touring with his comedy acts but appearing in movies and television series. He has received awards for his comedy and also for his humanitarian acts. 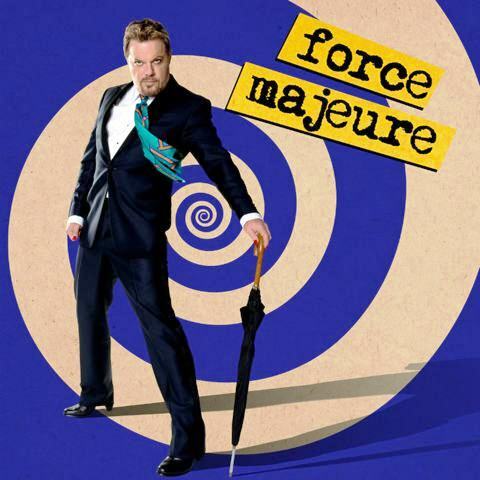 I was introduced to the standup comedy of Eddie Izzard in the early 2000’s by my sisters, via his DVDs. We watched, we laughed, we threw out random Eddie Izzard quotes. His comic style is described as a rambling, whimsical monologue. He doesn’t work from a script, because of dyslexia, but instead, uses free association as he jumps from topic to topic, often acting out a “scene” during his routine, adding various voices and sound effects. I found him to be charming, engaging and hilarious. No topic was off limits for his humor. Toward the end of February 2014, Linda and I happened to be discussing Eddie Izzard and remarked that he would be one we would love to see in a live performance. We didn’t know if he was still doing comedy or focusing primarily on acting. We agreed watching Eddie Izzard perform would be an amazing first. Less than two weeks later, we discovered Eddie was going to be in Tulsa for one night in June of this year. We purchased tickets immediately. I love how things work out! Last night’s show was just as amazing as we thought it would be. None of us had seen Eddie Izzard in a live performance. We were excited about hearing new material and seeing if this older Eddie still brought the laughs. He did, indeed. I laughed so much during his 2+ hour show that my throat was sore afterwards. Dressed very sharply in a suit and looking fit and trim, Eddie Izzard brought the packed out house down. His on stage presence and his sense of comic timing are brilliant. And he has an incredible talent for presenting historical facts and stories in such a way that it’s not only memorable but hysterically funny. I especially loved a parody of the Lord of the Rings that he did that included a chicken, moles, Liam Neesan and a kraken. Eddie hasn’t lost his ability to poke fun at virtually everyone. He doesn’t intend to offend people, he hopes to open the minds and hearts of others and help us see that inside, we are all the same, no matter where we live and what language we speak. Thomas Moore says, “I’ve long thought that the greatest therapists and true spiritual teachers are comedians, advocates for a comic sense of life, who break open our serious efforts to arrange life as we think best.” Eddie Izzard, then, is a therapist of the highest caliber as he challenges himself and others to see life not in somber tones of black and white, but in riotous bold colors.